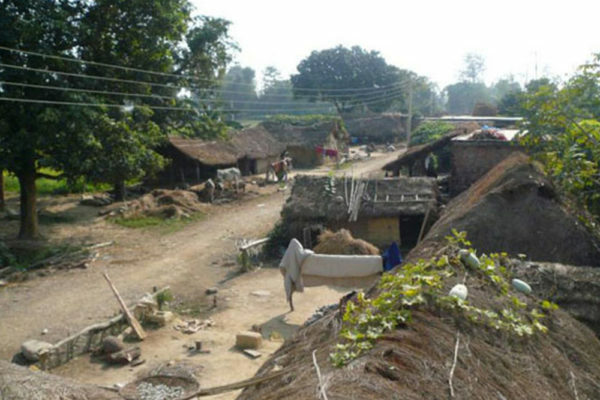 Not far from the Nepalese town of Lumbini, the birthplace of Buddha, near the Indian border, is a town called Kapilvastu. The town is buzzing at the moment, as word has got out that a new community radio station is on the air. 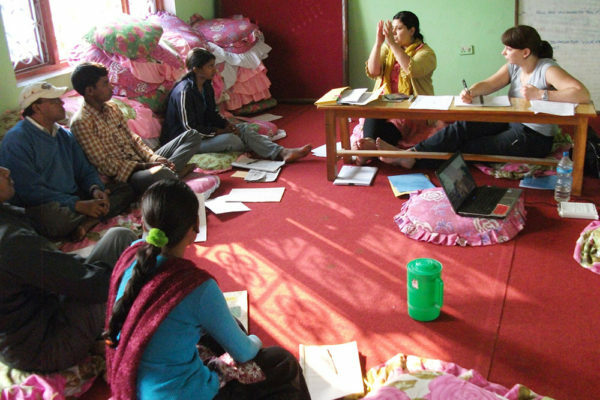 In mid-December 2007 we had the chance to visit the SSDO (Sunshine Development Organisation) headquarters in a small village outside Kapilvastu, where plans are afoot to set up Radio Kapilvastu 104.2 FM, the first station in the area to broadcast in Madesi, the native language of 87% of the population. Without a source of information in their own language, the Madesi people have never had access to the national news. This in turn excludes them from full participation in their democratic process. 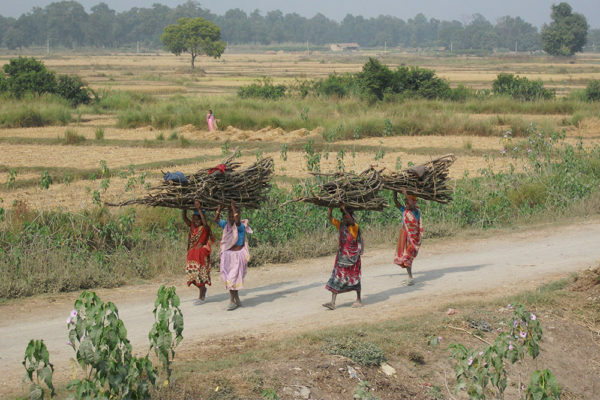 Radio Kapilvastu 104.2 will provide a source of local information and a platform for community discussion and debate. It will be a focal point for community development. 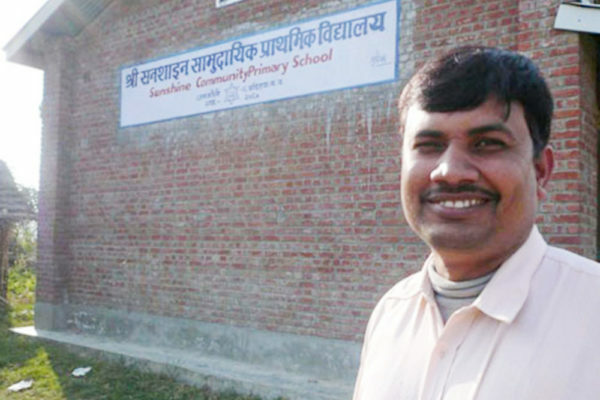 The station will be run by local community members with the support of the SSDO, a 10-year old NGO set up by local Madesi community member Shivlal Yadav. 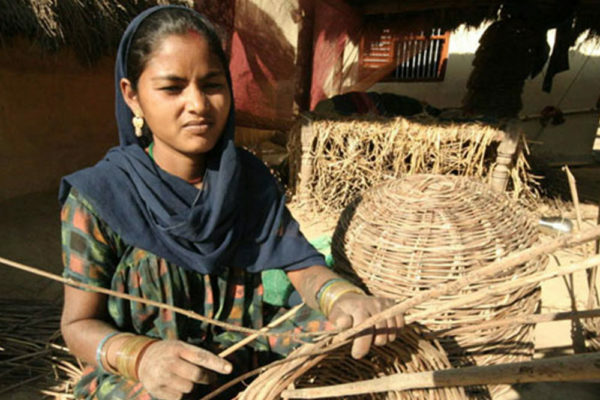 The SSDO has worked on many social issues to support the Madesi people, including setting up over 40 farmers’ cooperatives in the area and coordinating the distribution of microloans amongst them to promote the local economy. During our visit we spent two days working with the SSDO, visiting their project sites, giving radio workshops and assessing what technical solutions will best suit the needs of their station. The workshops focused on 3 areas: community participation, ideas for programming content and discussing social issues through a simple radio talk show format . Radio Kapilvastu is already in a good position with regards to community participation, following the model they used to start farmers’ cooperatives to encourage interest in the station from their local community. They have built up a membership of 28 members (groups and individuals) from different communities who will be within the coverage area of the station, who collectively helped to raise sufficient funds to build a community centre where the station will be based. We are looking forward to providing more support for Radio Kapilvastu as the station development gathers pace. 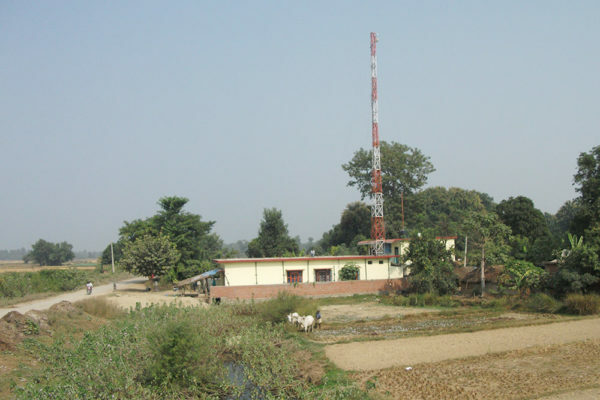 Radio Kapilvastu are now on the air, broadcasting on 104.2 MHz. We have two volunteers going to work with the station in October. If you would be interested in volunteering at the station, and have relevant experience, please get in touch. Raising awareness about critical social, environmental and economic issues. RadioActive provided technical consultancy as well as two days of workshops to the large team of volunteers involved in the station. We continue to send radio professionals to provide ongoing training to the station staff. 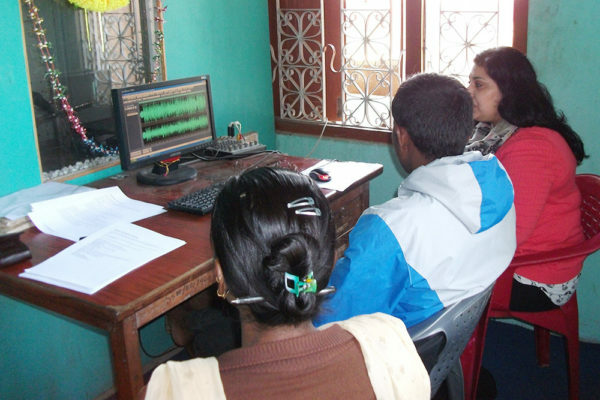 When we made the decision to go to Nepal and work with a community radio station, we didn’t really know what to expect. For us, it was a challenge, an opportunity to pass on the skills we had acquired working in BBC Radio for over a decade. But it was equally important for us that it was a 2 way process, we wanted to learn new skills, experience a new world. It certainly was that. We got to Taulihawa late in the evening, and were greeted by station manager, Tulsi Ram Ji, and newsreader, Ram Sewa Ji. They took us, on the back of their motorbikes, through the river Ramghat, whilst our bags followed strapped to bicycles. We knew we were in for a big adventure. We were taken straight to Radio Kapilvastu, to see where we’d be training for the following week. Our first day of training wasn’t exactly what we were expecting. We quickly realised that it was going to be difficult to deliver the workshops in English alone. Luckily, I had some Hindi, which many of the trainees could also understand, so we used that combined with English. 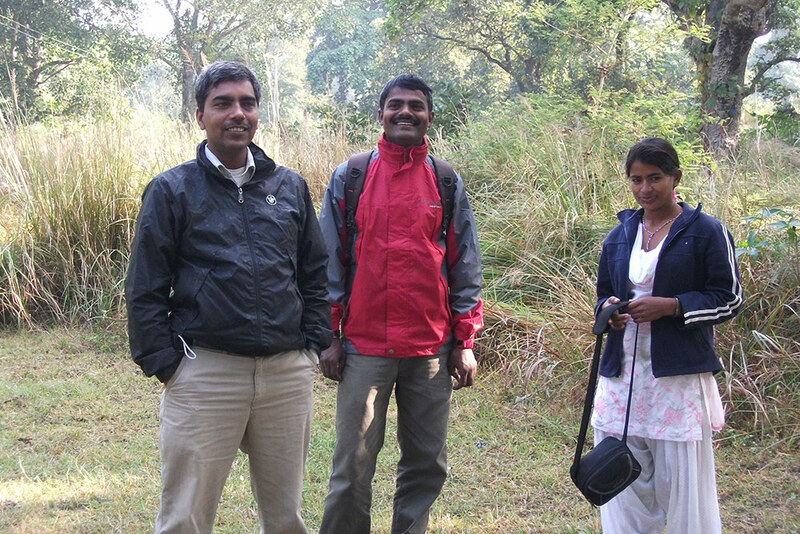 We met the Radio Kapilvastu family, who welcomed us with enthusiasm and warmth. And it was inspiring hearing all their amazing programme ideas, many of which examined difficult and challenging social issues in the community – they were original and creative. We listened to a programme made by an inspiring and brave young journalist, Sona Ji, about how widows were treated in the community. We spent a lot of time talking and thinking about how to focus a programme, to really examine what the producer wanted out of it, and how to go about making it in a creative a way as possible – whether by using unique sounds, or by structuring it in an unusual or surprising way. As well as being made to feel so welcome by the Radio family, we were also warmly welcomed into the home of Parsharum Ji, Chairman of the radio station. We were humbled by this family who opened their hearts and home to us, with such wonderful smiles, food, and such beautiful children that kept us entertained and made us laugh! Sona Ji, was given the responsibility of looking after us, and always took such good care of us in every way. This really was an experience of a lifetime. It was fascinating watching village life go by, and hearing stories about the local culture. Living and working in Scottish cities, our daily lives are hugely different from a village in Nepal, so some of the issues we heard about were shocking. However, we were inspired by the programme makers who wanted to challenge their communities, make listeners think, and to change their world for the better. This is something that programme makers, no matter where they live, have in common. The over-riding memories that we have taken away, back to a very cold Scotland, are of a group of people that showed incredible warmth, a generosity of spirit, and kindness that made us feel like we belonged to them. We will always be grateful for that.